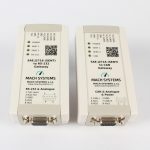 Gateways and Bus Converters - MACH SYSTEMS s.r.o. Bus gateways and converters are devices that make a bridge between two different buses so that communication between them can happen. Such a device converts and forwards messages between two networks mostly in both directions. 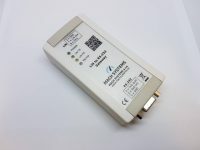 The LIN to CAN/RS-232 Gateway can be used to interface LIN bus to CAN or RS-232. It can act as both LIN Master and Slave and both LIN v1.x and v2.x are suuported. 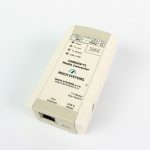 The converter is available in two variants - LIN to CAN and LIN to RS-232. 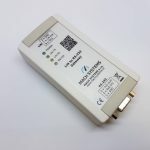 SAE J2716 (SENT) to RS-232/CAN bus Gateway/Interface offers two bi-directional SENT channels, two analogue channels, and either a RS-232 or CAN bus interface. Each SENT channel supports reception and transmission of SENT frames and all SENT communication parameters are configurable. Fast, Short Serial a Enhanced Serial Messages are supported. Device configuration can be stored into an on-board non-volatile memory. A free-of-charge PC application is provided for device configuration, reception and transmission of Fast and Slow frames. The open communication protocol provides for integration into existing systems.